One of the events taking place in Co. Tipperary during Heritage Week will be an illustrative and informative talk by Author and historian Mr George Cunningham, entitled “Trees at Home and Abroad”. The event will take place on Monday next, August 21st, beginning 7:30pm – 9.00pm, courtesy of Tipperary County Council Library Service, in The Source building, Cathedral Street, Thurles, Co. Tipperary. Mr Cunningham will take his audience to such places as the redwoods and protected Bristlecone Pines Forest area, latter high in the White Mountains in Inyo County in eastern California, as well to many other such places here at home, which remain a ‘tree treasury’. Mr Cunningham has had, and continues to strongly retain, a lifelong interest in trees; building up a significant tree library and travelled to many world-famous places adorned by trees and rich forests. He is a director of ‘Crann‘ (Translated from the Irish – ‘Tree’), formed in 1986; latter an organisation which it attempting to re-leaf Ireland. Crann is Ireland’s leading voluntary tree organisation dedicated to the promotion, protection and awareness of the importance of our trees, hedgerows and woodlands. 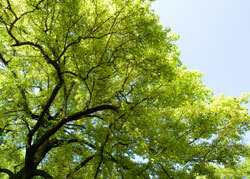 It is a membership-based, non-profit registered charity, uniting people with a love of trees. Admission to this Heritage Week event is free of charge. You can find other events taking place throughout Co. Tipperary, during Heritage Week, by simply clicking HERE.